Earlier this year we introduced some new features to our Room Alert Account service, including our patent-pending (and award-winning) Monitor360 technology. Based on feedback and comments from our users, we wanted to take a deeper dive on one of the more popular features included in the Room Alert Account portal – custom report overlays. What are custom report overlays? 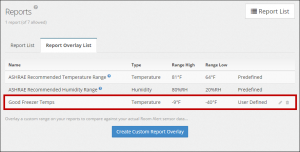 Our Room Alert Account service comes with built-in overlays in the Reporting section that show the ASHRAE recommended temperature and humidity ranges. We included these to help users ensure that their data centers and facilities remain within the proper ranges to ensure optimal workplace conditions and maintain server and computer uptime. After receiving positive feedback on the ASHRAE recommended ranges overlays, our engineers wanted to give users the option of creating their own overlays based on their facility and the exact conditions that they were concerned about the most. Room Alert monitors and sensors are used in a wide range of facilities, and we want users to be able to customize reports based on their own specific needs. There is a wide range of uses for custom overlays. Here are just a few samples of how your organization can use custom report overlays to gain better insight into your facility’s environmental conditions. 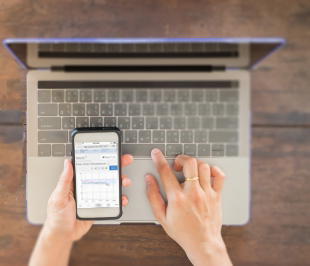 Warehouse and office working conditions – Facilities managers and warehouse owners have been using Room Alert to monitor conditions within their facilities that impact employee health and performance, such as temperature, dew point, heat index and more. Setting a custom report overlay to show heat index, for example, lets facilities managers know if conditions may impact employee performance, or cause negative health reactions. This same example can also be used on a college campus when facilities management needs to monitor conditions in their dorms and classroom spaces. 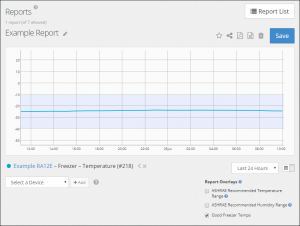 Storage freezers – Restaurants and storage facilities can set up custom report overlays to show the temperature ranges of their freezers to ensure they are within accepted parameters. 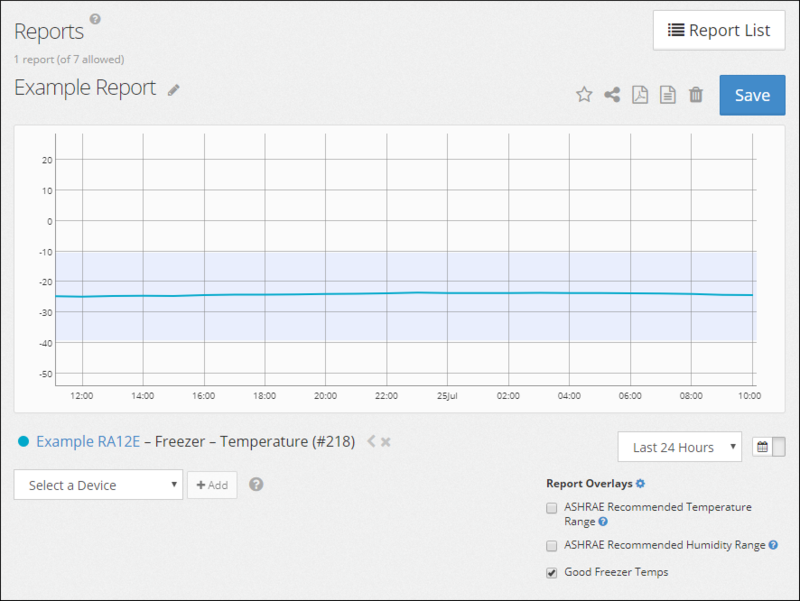 Many storage facilities have specific guidelines and requirements they must adhere to; custom report overlays showing the temperature range required can show them the readings in all their freezers or refrigeration units, so they can determine if one or more of them are gradually rising in temperature. This could be an early warning of failure if it’s not inspected and serviced immediately. Laboratories – Several of our users are using Room Alert to monitor the storage of some very specific scientific materials. By creating a custom overlay, they were able to ensure that all their storage units were well within the accepted range that they were mandated to maintain. If the temperature in any of the units went above or below the thresholds in their custom range, they would need to dispose of the contents of the units. This would be a very costly situation if it occurs. Users can take custom report overlays to another level by integrating Monitor360 technology into their reports. Custom report overlays, as an example, can be used with Monitor360 to show the average temperature across multiple facilities or locations. This is very helpful when monitoring an extremely large data center or warehouse, or the temperature across multiple facilities or locations. 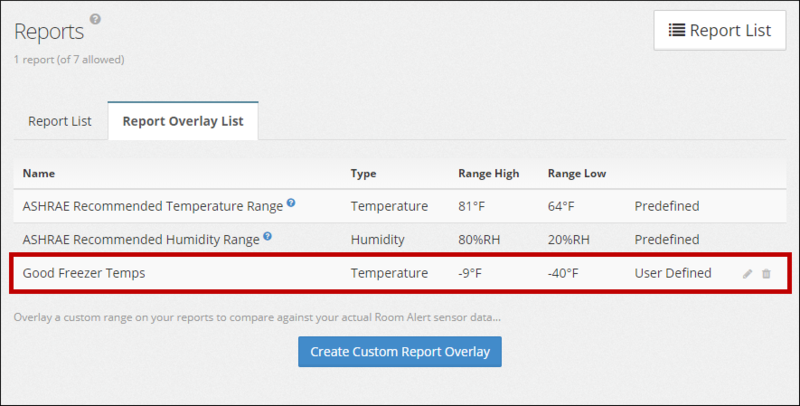 Custom report overlays in our Room Alert Account portal are only constrained by the Room Alert monitors and sensors you have installed in your facilities. The more sensors, and the more various types of sensors you install, the more options you have for custom report overlays. Monitor360 technology gives users the ability to create custom sensors and alerts, so users can build their own solutions based on their exact needs. As organizations begin to trend more towards business continuity than they are to disaster recovery, using custom report overlays can give you valuable insight into your data center or facility, regardless of your industry. By monitoring specific conditions proactively and visually seeing trends within your Room Alert Account, you can take the steps necessary for preventive maintenance to maintain your uptime, rather than paying to replace lost hard drives, equipment, damaged stock, and more. If you haven’t yet set up custom report overlays in your Room Alert Account, this handy FAQ will walk you through the short process needed to begin setting up your custom overlays in a matter of minutes. If your Room Alert Account doesn’t support custom overlays, there’s no need to worry – you can contact your Product Specialist to learn how you can easily upgrade to the Professional tier or higher, or you can even upgrade from right within your Room Alert Account portal in a matter of seconds! Just click on your organization’s name in the upper left corner of the portal, and choose “Manage Account”. Don’t wait for a costly incident to occur before you take advantage of all the technology Room Alert offers you. Set up custom report overlays now and help avoid downtime and loss for years to come. We'd love to talk with you about your monitoring needs. Contact one of our Product Specialists for a free consultation. © 1988-2019 AVTECH Software, Inc.